The World Health Organisation has identified Distracted Driving as an important risk factor in road traffic injuries. Mobile phone usage is a primary source of driver distraction, as it takes drivers’ attention off the road, making vehicle occupants more vulnerable to road crashes. Even though it is such a significant road safety risk factor, we have very little knowledge about the extent and nature of the distracted driving in India. *These figures are based off a sample of 1,749 individuals across 8 Indian cities. We ignore our mobile phone when we are in a movie theater, in a meeting with the boss, or hanging out with friends, but we do not ignore it when we are driving. Ignore your phone where it really matters. 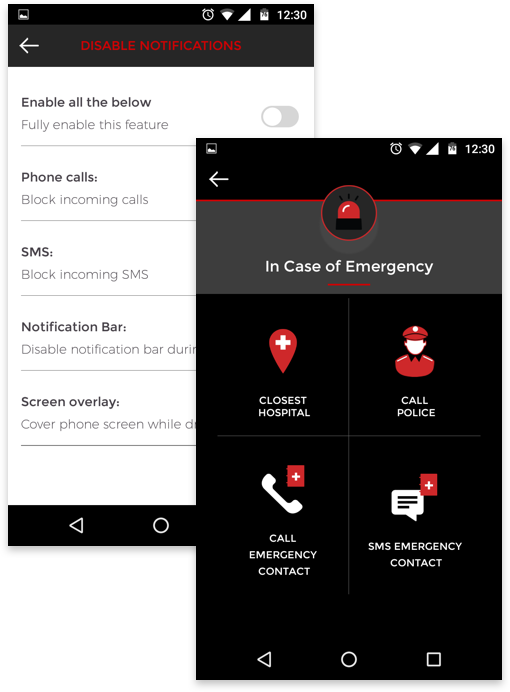 The goal of the Vodafone-SaveLIFE Road Safe mobile app is to provide members of the public a tool to eliminate distractions originating from mobile phones while driving.